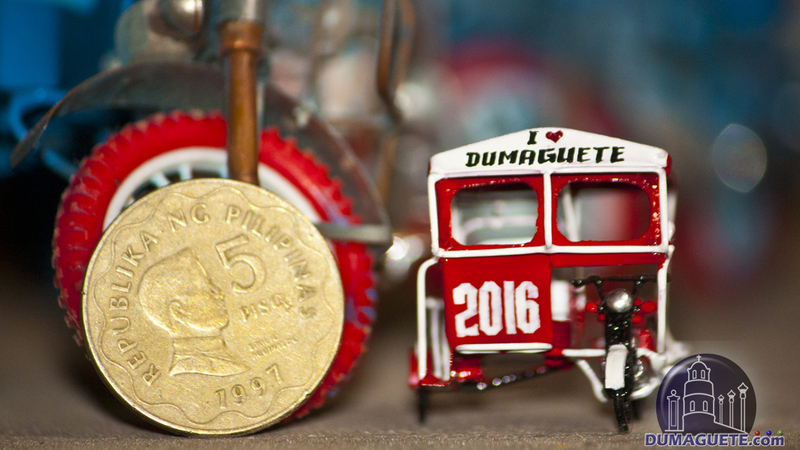 Tricycles, Pedicabs, or simply Trikes are the most common form of public transportation in Dumaguete. Dumaguete is “blessed” with 2,500 registered tricycles, they play an important part in public transportation and are also a big part of the typical street-scenes in Dumaguete. The term Pedicab comes from the origin, where a bicycle and human power is used to strike the pedals hard. While there is nothing special for us locals to ride a trike, most tourists coming to the City of Gentle People love to ride around town, despite the fact, that often enough the tricycle is stuck in traffic and walking would be faster. 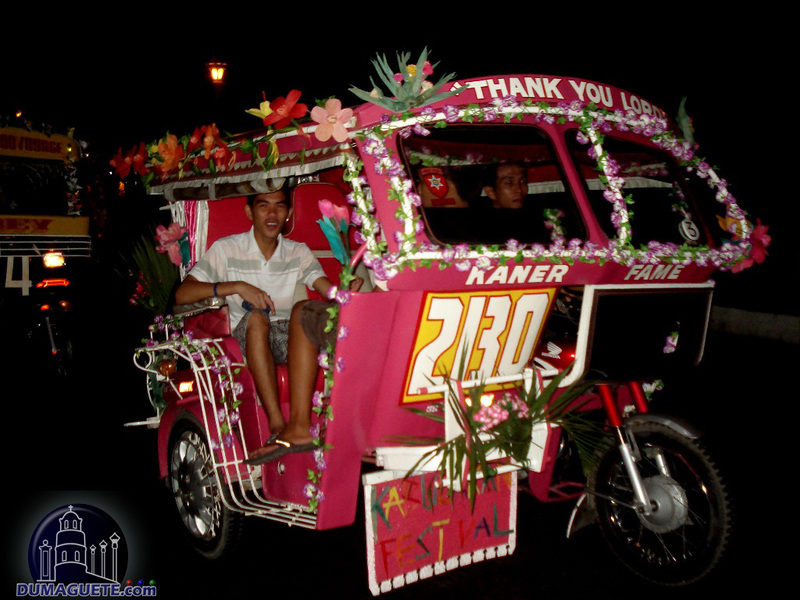 The trikes in Dumaguete have almost the width of a regular car and are among (if not) the biggest in the Philippines. 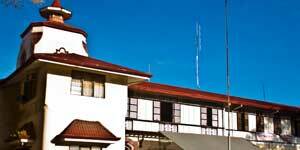 When it comes to payment, we Dumagueteños have no problem to get normal rates. 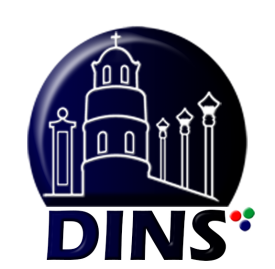 Foreign tourists, who visit only for a few days or weeks and stay at a resort in Dauin, don’t mind paying one dollar or two for a short ride within Dumaguete. 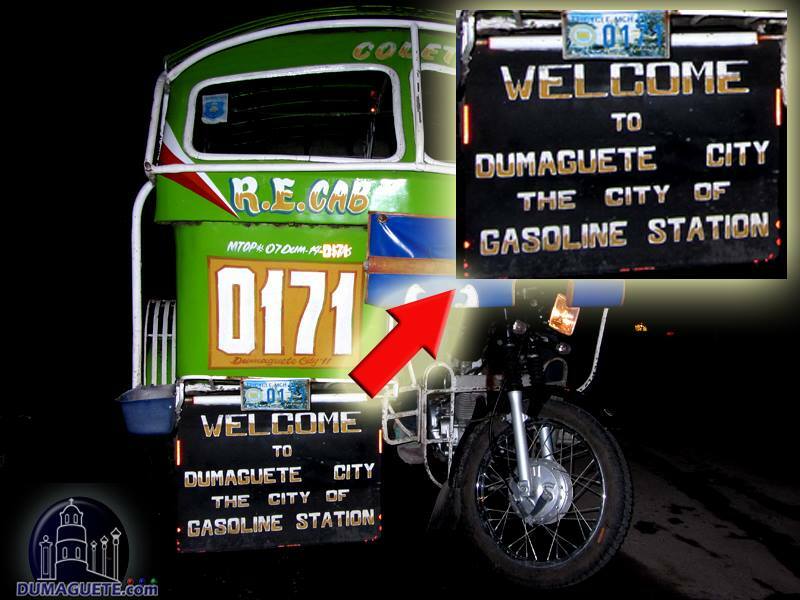 A problem occurs when the “trike-mafia” targets the long term tourists, permanent residents who are married in Dumaguete or simply people who have the experience from other cities, where the price for a trike is regulated and driver obey the rules. They regularly getting overcharged or left standing alone on a street, when they are not willing to pay 80 peso from Robinsons to the market. However, those tourists also need to consider that they are often seen as a “special ride”. When a trike goes from Robinsons to the market, or from the Market to their regular destination, it is usually occupied by 4 – 6 people (whereas there is no limit to the maximum capacity). All passengers pay regular trike fare. The going rate at the moment is Php 8.00 per head with discounts for students and senior citizens carrying their ID. This basic tricycle fare covers the first kilometers. Each started additional kilometer costs Php 0.50. Other than that, there are also fixed prices for fixed routes. The Tourist Certified Drivers Association (yes there is something like that, even no tourist ever certified a trike driver and this rates ever) published following fixed rates. Despite this rates you will have problems finding a driver willing to go some of the longer routes, and honestly, we don’t know anyone who wants to go from Dumaguete to Zamboanguita with a trike. Now that is easy, wouldn’t you agree? Yes it is, within limitations and as long you go on standard routes. If you get with your friend in a trike at the market area and go down to the boulevard or to Robinsons, your trike-fare is Php 16.00 total (2 x Php 8.00). But be ready that the driver adds passengers at will to maximize the profit. You go from the Boulevard to the Market, the price is the same. You go from Robinson to the Market, the price is the same, but the driver might start the ride only if all seats (plus 1 or 2 passengers squeezed in) are filled. If one does not want to share the tricycle with other passengers it is considered, liked mentioned above, a special ride. The trike driver will not tell you a price, but will ask you: “How much you pay?” – at least this is what most of them mumbling.. Now it is up to you to either suggest a price you are willing to pay, or insist him to tell you a price, which will be quite high. If you get a “special ride” calculate 2-4 times the regular fare. So the special ride from Robinsons to the Market might be 40 or 50 Peso. Bear in mind, that’s what they make if waiting a few minutes to have the tricycle full with passengers each paying Php 8.00. It is 10:00 pm and you want to go after a dinner at Hayahay back home, with “home” being in a Barangay not in the center of Dumaguete. You probably end up with anything between 40 Peso and 80 Peso. You simply need to keep in mind that the trike will make the way back without any income so you will pay for that empty-driving. During closing time of the shops in Dumaguete, many trike-driver won’t take you on a “special ride”, unless it is on their way back to downtown Dumaguete. Between 5:00pm and 8:00pm they fill their trikes at the shopping centers and drive with up to 8 people multiple times, which transfers into Php 70 per trip. While at 2:00 pm they happily take you for Php 25.00, during rush-hour even 40.00 peso from, let’s say FoodNet to Piapi, is simply lower as what they earn taking regular passengers at any shopping center. Be aware that a hungry trike-driver can’t be flagged down and/or will not take you anywhere but heading home (even you know it is your neighbor). Don’t be surprised if you flag down a trike and it goes to the next filling-station 20 meters down the road, adding 25.00 Peso fuel. Don’t be surprised if the trike stops, the driver jumps off, urinates against the next wall, jumps back on the trike like it is part of his job to do so and continues driving. Don’t be surprised if you get asked at the end of the trip for some peso extra. Just decline friendly and walk away. Don’t be surprised if the trike-driver has “no change” (even his little bag is obviously full with coins). Don’t be surprised if he takes a wife, child or relative on “your” ride and takes a slightly different route to drop them off first. If you get pulled over the table (in terms of overcharged) don’t get upset, be better prepared next time. Have your fare ready, if one trike doesn’t want to take you, the next won’t be far away. Give them a fair rate for your special ride and tell them “Good for you – Good for me”. Most of the time you get a smile, some quick raised eyebrows or pointed lips and off you go towards your destination. if you have more questions and concerns don’t be shy to call the TMO. 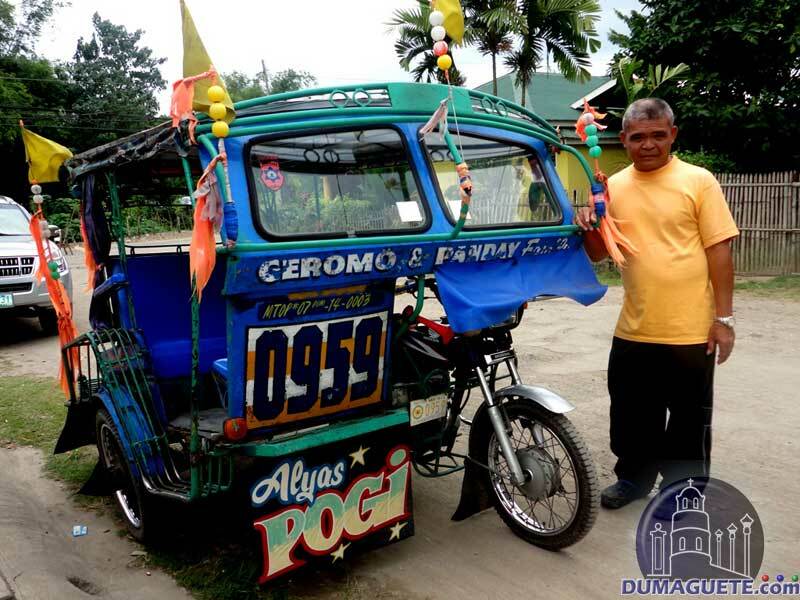 How many passenger fit in a tricycle in Dumaguete?